Log Horizon 2 begins pretty much where the first season left off. There are still problems to be solved within the world they inhabit, with the “Villain in Glasses” doing everything he can to alleviate their worries. This second season of Log Horizon moves away from the political subterfuge that the first season capitalized on for a somewhat simple reason: this is the continuation. The anime already has its setting, the characters, and a wide set of rules in place and therefore opted to focus on an actual narrative as opposed to using the politics as a vehicle for everything that was going on. Unfortunately, it doesn’t work. And this is because Log Horizon 2 refuses to do anything with any of the outcomes or plot lines that it follows and establishes. For example, it brings up the idea of item effects becoming true — a rather neat development. But why this is the case or ways in which this affects what is happening around them are left unexplained. A more prominent example is the civil war that occurs between the People of the Land and the Adventurers. It sounds like an interesting route to take, but is never looked at seriously and even discarded by season’s end. This rational can be found with nearly all of what Log Horizon 2 has to offer — the “Geniuses,” the Odyssey Knights, Roe 2, Kanami’s events, training the People of the Land, death on the moon, etc. — and only serves to make the plot seem incoherent in execution. In order to have some kind of order, Log Horizon 2 splits itself up into essentially four different arcs: the Akatsuki arc, the Money arc, the Kids arc, and the Moth arc. Furthermore, each is categorized into two (given) themes: the first two are about “rising once more” while the last two are about “running with friends.” And for the most part, this kind of separation works in the show’s favor. Akatsuki’s arc showcases her struggle, her need to prove her worth not only to the people around her, not only to Shiroe, but also to herself. She gets beaten, learns from her mistakes, and even perishes at one point. But that doesn’t deter her resolve; rather, it bolsters her fortitude and allows her to rise to a new level both in body and in spirit. The Money arc, in a similar fashion, follows Shiroe, Williams, and Williams’ guild as they fought over and over, never giving up or in. They band together to beat the impossible, which acts as a nice segue into the anime’s second half and second motif; the notion of camaraderie. The Kids arc demonstrates the need to understand and nurture relationships between both the people you love and those you may not even know. And the Moth arc clearly depicts the idea that one almost never has to deal with everything on his or her own. That is, there are people around you who are able and willing to provide the support you need; you just need to ask. 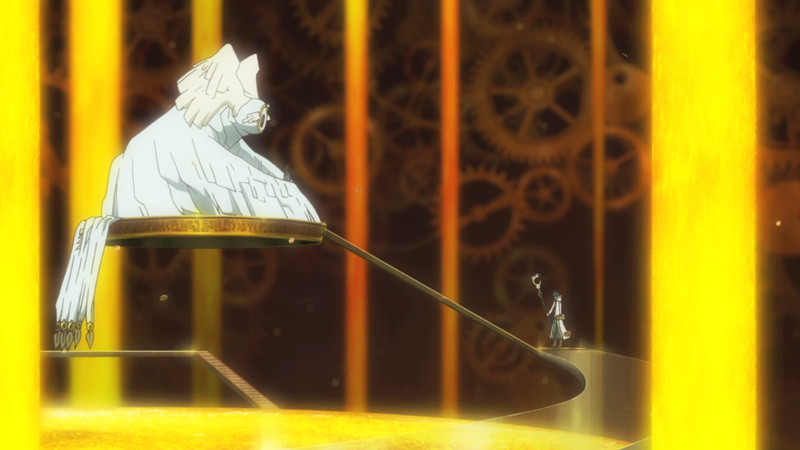 Log Horizon 2 also manages to maintain a thematic presence between its respective arcs, too. And it’s what was talked about in the introduction; not feeling like you belong. There are those times when it is difficult to understand the situation you are in or finding yourself questioning your own mindset, so you begin pondering what exactly the issue is. Log Horizon 2 does this for each of its partitions: Akatsuki wonders why she cannot be by Shiroe’s side, Williams talks of finding solace in the gaming world, the kids witness a group of people who despise their position, and inkling feelings of wanting to return home loom large over many Adventurers. This kind of development is natural, especially in regards to that last point; literally being in a foreign land can cause any number of mixed emotions. But what each segment teaches is that it isn’t so much worrying about belonging, but how you manage such a predicament in the first place. Which is what the previous themes aimed at doing; rising to the challenge and relying on the people around you. By following these two routes, belonging stops being an issue and starts being an afterthought. It doesn’t happen instantaneously — the Adventurers prove that finding one’s place is a difficult process — but when you do find that peace of mind, great happenings almost always await. 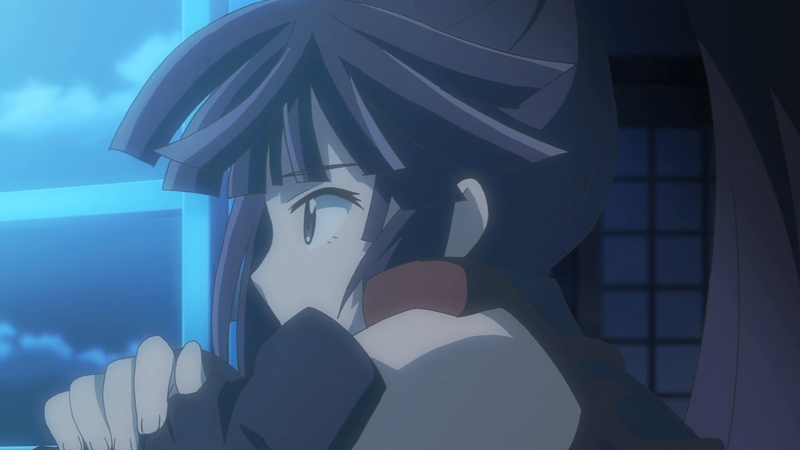 Unfortunately for Log Horizon 2, the art and animation is severely lacking. The art for the show, despite the world being so open and free, is filled with rather boring locales. Muddy caves, plain cities, and leafy forests are normally seen, but nothing is extraordinary. The real detriment, though, is the show’s often distracting lack of quality. There are numerous occasions where characters are either malformed or given disproportionate features, causing their designs to be lacking in detail and attention. The world within the anime lends itself well to interesting character designs, and therefore that is what’s given here. Shiroe’s signature white cloak, Akatsuki’s ninja outfit, and Tetra’s idol attire are easy examples of fun designs that fit the show’s mood and provide the audience with the sense that these people really are just playing a video game. Actual animation, though, is mostly below average. Many of the fights are given still frames or reduced actions that do not come off as appealing. And since a lot of what goes on within the show is dialogue between the characters, where only mouth movements are found, it only helps to accentuate the lack of animation during the battles that occur. 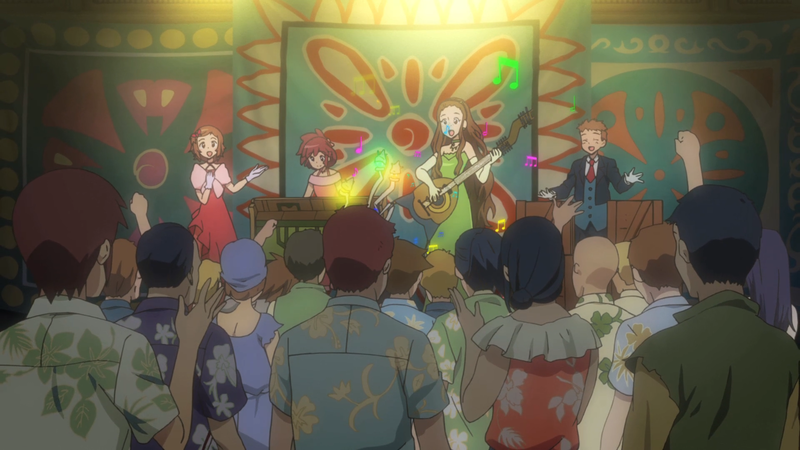 Log Horizon 2 is an anime with a large cast, almost too large for its own good. It isn’t able to adequately peer at every character individually and instead sets its sights on two. One makes sense and the other is interesting: Akatsuki and Isuzu, respectively. Akatsuki is a servant first and ninja second. As such, when she is left behind by her master, Shiroe, she feels conflicted. She cannot seem to understand why she has been delegated to such a role; that her place at Shiroe’s side is almost unneeded. She feels completely weak, and when she is defeated in Akihabara it only helps to reaffirm this type of thinking. Yet, it’s exactly what she required: within the dream-like world she meets up with the person she calls master. While there she learns that it isn’t because she is weak that she was kept from fighting alongside him and the others, but because she is so strong, that only she could take up the task given to her, that Shiroe wanted her to remain at home. Upon reviving, she trains her heart out, and with the aide of those around her, she excels to new heights. She earns a special “Teaching,” protects the town, and most of all, is confident now more than ever in the abilities that she always had. 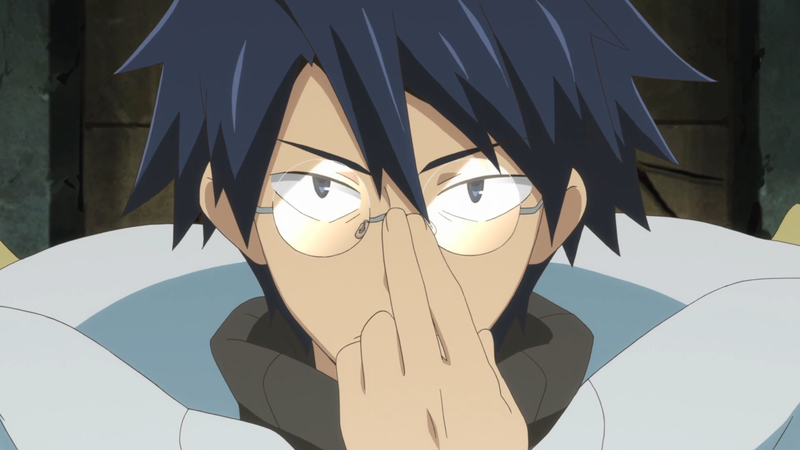 During the second half of Log Horizon 2, during the Kids arc, the show actually chooses Isuzu of all people to really focus on. Her class as a Bard isn’t just coincidence; her characterization reveals that, in the real world, not only was her father a renowned musician but she had taken up the guitar as well to follow in his wake. But she laments of her father’s lost fame and of her own inadequacies as a guitarist. She feels that what she has to offer isn’t worth much of anything, especially if the person she always looked up to, someone better than her, was always pushed to the side. But as Rudy, her close friend, describes to her, it isn’t about being good or bad at whatever you do that counts. As long as you try, that you give it everything you have without any regrets, is what truly matters. For his people are not capable of creating the tunes she can; she is to them as her father is to her. Meaning what she can do is not only worthwhile but unique, more so than she ever thought possible. And with this newfound vigor, she does what she can for the people around her, supporting them in the way that only she is capable of doing. What both Akatsuki and Isuzu demonstrate, besides their respective developments, is something that many of the characters experience throughout the entirety of the season. And that is the notion of self-esteem. Having the confidence to do what needs to be done — to get up when fallen, to rely on your friends, to do what is right — doesn’t always come naturally. For many people, it’s a difficult feeling that isn’t inherent and must instead be “taught” to those that don’t have a lot of it to begin with. This occurs with the former two ladies. But there are also those who lose it after having acquired it — Shiroe experiences such a dilemma near the end where he doesn’t fully believe in the path he has chosen. Touya holds his ground against the suicidal knights, Nureha stands up for herself, and Demiqas swallows his pride to help the very man who humiliated him. Having the confidence to perform certain deeds can be difficult to obtain, but once it is found, and as the characters of the anime portray, it brings with it its own brand of goodness. The OP for Log Horizon 2 remains the same, which is a wise decision. 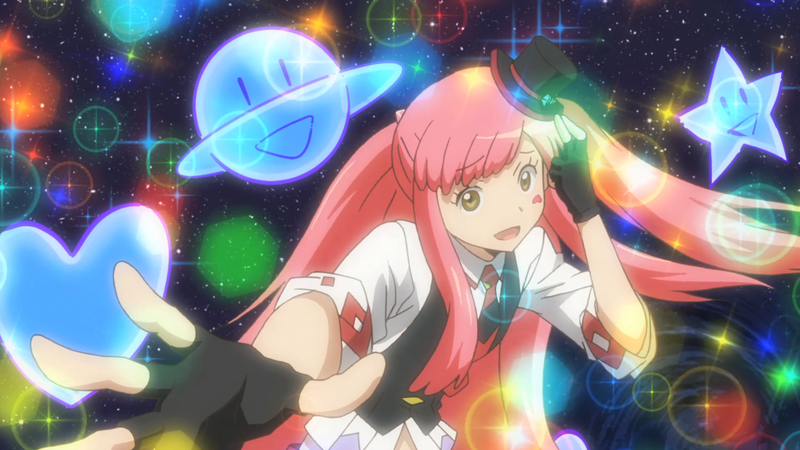 It’s catchy, it’s fun, and it’s the database; it is literally Log Horizon’s signature sound. The ED is fine, utilizing cute singing, a simple beat, and dainty piano playing. It can be quite catchy itself, especially with the ending “la’s” that are used. The rest of the soundtrack remains more or less the same from the first season as well. It contains uplifting battle tones with hard guitar, drums, and choirs — the “Main Theme” is both the best track for this example and the best track that the show has to offer. It also uses mysterious tunes during explanatory moments, slow guitar playing during sadder ones, and flutes during the nonchalant times. It’s a nice OST that captures the mood of the anime quite well. As far as voice-acting is concerned, those involved give around average performances. A special shout-out goes to Yukiyo Fujii as Tetora for her cracking voice while speaking. I found myself not quite enjoying what this one was doing, mostly because it transitioned away from the politics and tried too hard to bring in as many different elements as it could. On top of this, many of the battles weren’t very impressive to see despite them garnering so much focus. Furthermore, while the Kids arc was nicely executed, it was still quite boring to watch unfold. The only characters that I had a fun time watching were Leonardo (the turtle) and Tetora (the idol). The former was just a really cool dude while the latter was always having fun, looking to bring a smile to both me and everyone else in the world. Leonardo hardly got any screen time, unfortunately; he was placed in the same spot as Nyanta — really cool but underutilized. And Tetora couldn’t always be around to bring about the laughs. 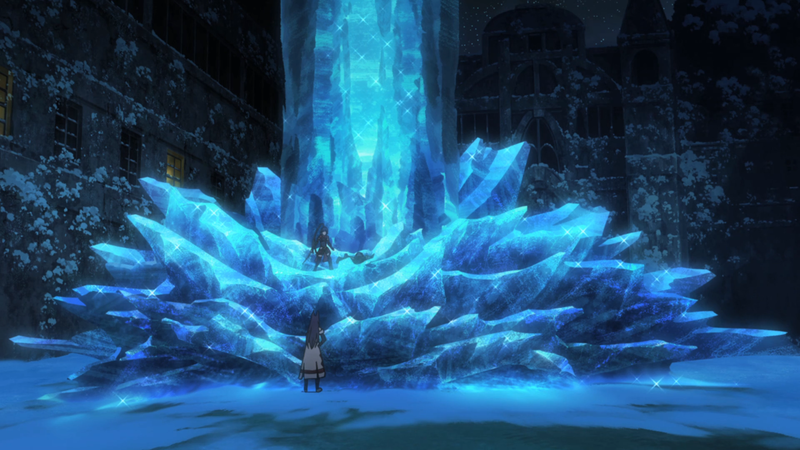 Log Horizon 2nd Season attempts to continue what its predecessor started. Unfortunately, due to an awkward story, shoddy animation, and boring segments throughout, this tale seems to still be questioning its own sense of belonging.